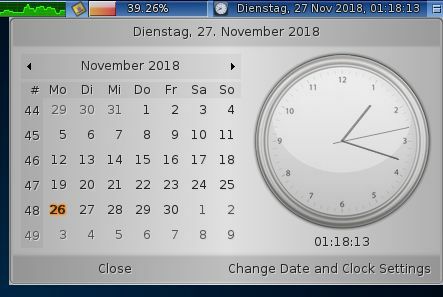 Description: A screenbar clock and calendar for MorphOS. Double-Click the Install icon and DateTime_sbar will be installed to your system. and select DateTime from the modules shown there. - Label was overwritten with text if text was centered or right aligned. Fixed. - Switching between Months/Years/Decades could lead to window size changes and resulted in graphical artifacts on the left side if using transition animations. - Catalogs were copied to just locale:[language] and not locale:catalogs/. Fixed. You may want to delete the wrongly copied catalogs. - Added french translation by Philippe 'OffseT' Rimauro. - Prefs image/object handling was wrong and could lead to crashes. Fixed. 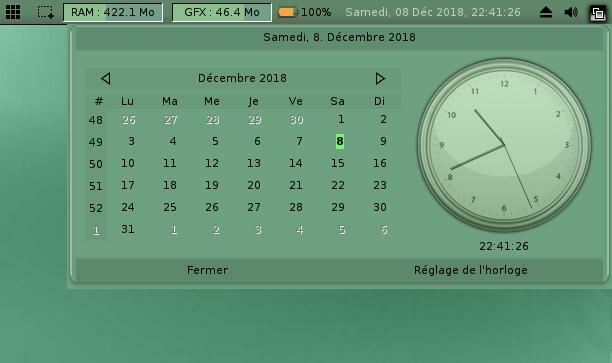 - When day changed, 'today' marker in calendar didn't change if it was displayed. Fixed. - Philippe 'OffseT' Rimauro for the french translation.